The SVBC Annual Meeting 2015 was dedicated to Member Ernie Vogt who never failed to encourage and generously support the Club’s activities during his and Lydia’s time here with us in San Vito. While the rest of us were walking around, peering through our binoculars, oohing and aahing: “Oh, it’s a White-throated Spadebill” and “Ooooo, look, a Scale-crested Pygmy-Tyrant”, Ernie was busy planting trees. We understand, after talking with Lydia about this on several occasions, that Ernie was always fascinated by trees. Many of you know they had an avocado orchard in California. Many of you also know that Ernie started planting trees the year they arrived – 2009 – and that year managed to put 500 new trees into the forest at Finca Sofia. Eventually, the number of trees he planted grew to 2,000. Ernie appreciated birds and even got excited about them. But Ernie knew that birds need trees – and he knew they’re not alone. We all need trees: insects, mammals, birds, reptiles and even rain forest fish need trees to survive. So, please raise your coffee cups to Ernie who understood the Big Picture in a way many of us do not. And let’s all plant trees this year and think of Ernie. 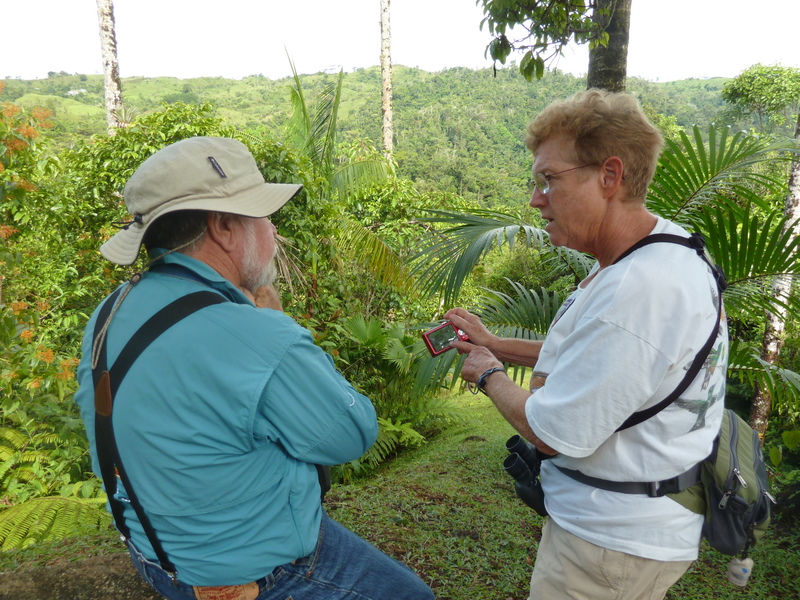 Lydia and Ernie birding at the Wilson Botanical Garden (photo by Alison Olivieri). 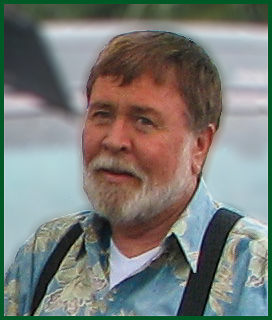 This entry was posted in Special Event Reports and tagged Birding San Vito Costa Rica, Ernie Vogt, San Vito Bird Club Annual Meeting 2015 by AWOlivieri. Bookmark the permalink.